The Bourges is a vest designed for the globe-trotter who experiences a city lifestyle everyday. 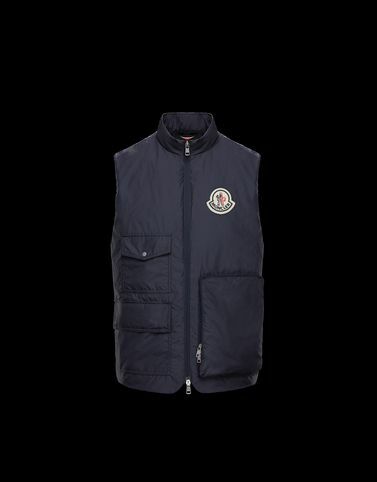 The brand’s expertise is reinforced through the lens of the 2 Moncler 1952 line, collection n°2 of the Moncler Genius project, which created pieces with a packable design, easy to always carry with you and face those non-stop days with confidence. Wash max 30°C - Very mild process; Do not bleach; Do not tumble dry; Ironing maximum temperature 110°C - without steam; Dry cleaning in tetrachloroethene - mild process; Professional wet cleaning - mild process; Dry flat; Wash separately; Do not twist or wring; do not soak; It is advisable to wash and iron the garment on reverse.